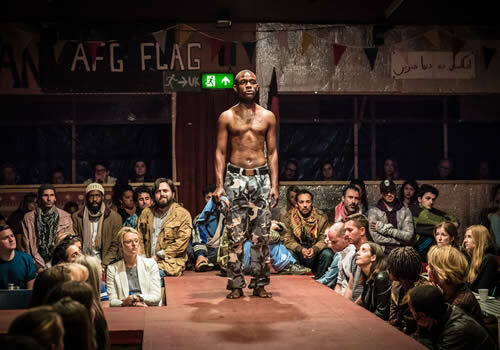 Following a critically-acclaimed, sold-out run at the Young Vic, Joe Murphy and Joe Robertson’s smash-hit production The Jungle transfers to the West End. Running for a strictly limited season at the Playhouse Theatre, the show sees the venue entirely transformed with a new seating configuration and renamed seating sections. 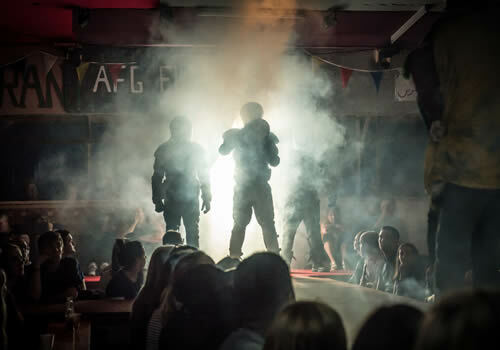 Created in conjunction with Good Chance Theatre, which was originally situated in the growing Calais refugee camp, the production focuses on the camp’s creation and its brutal destruction. 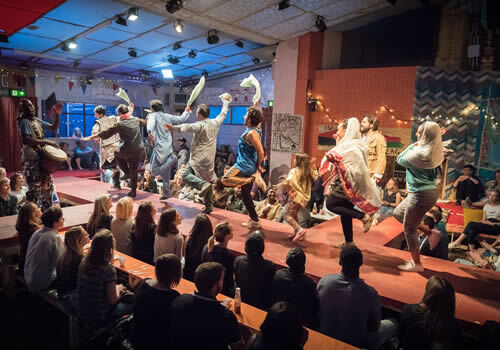 A place where people have suffered and dreamed, audiences are invited to sit in the Afghan café and are introduced to the hopeful and resilient residents of the camp, whose stories of loss and fear drive hope in the community. As freshly baked naan is split and sweet chai is shared, experience the emotive stories and encounters between the refugees and volunteers who arrived from the UK. 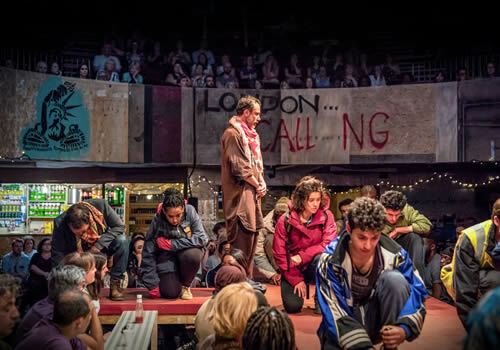 A tale of diversity, nationality and community, The Jungle earned five-star reviews from audiences and critics alike. With most of the original cast transferring with the production, full casting includes Tiran Aakel, Ammar Haj Ahmad, Mohammad Amiri, Girum Bekele, Gerard, Carey, Alexander Devrient, Elham Ehsas, Trevor Fox, Moein Ghobsheh, Cherno Jagne, Ansu Kabia, Kiki Kendrick, Alex Lawther, Jo McInnes, Freddie Meredith, Sara Mokonen, Yasin Moradi, Jonathan Nyati, John Pfumojena, Rachel Redford, Dominic Rowan, Rachid Sabitri, Mohamed Sarrar, Eric Sirakian, Ben Turner and Nahel Tzegai. 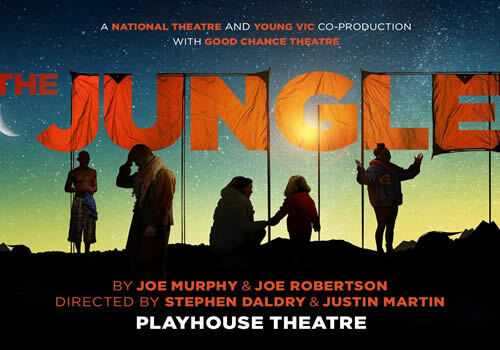 The Jungle is created by Joe Murphy and Joe Robertson, Artistic Directors of Good Chance Theatre, and is directed by Stephen Daldry (An Inspector Calls) and Justin Martin. The production features an immersive design by Miriam Buether, costume design by Catherine Kodicek, lighting design by Jon Clark and sound design by Paul Arditti, with musical direction and original compositions by John Pfumojena. Partnering with charity Help Refugees, The Jungle comes to London’s Playhouse Theatre for a strictly limited season, playing from June 16th to November 3rd 2018, with an official opening on July 5th 2018. The Jungle may not be suitable for young children. Click here for the Playhouse Theatre seating chart and seat price guide.